A comprehensive benefits program, thoughtfully implemented. As a broker, not an agent, Heath Benefit Partners works for you and the needs of your organization – not on behalf of any insurance carrier. Our five-step strategic planning and implementation process is based on what large consulting firms do for their Fortune 500 clients. Our strategic planning process is comprised of Step 1 (Plan & Analyze) and Step 2 (Negotiate & Recommend). At this stage, we help you define the objectives you have for your employee benefits program, and we work with the insurance carrier marketplace to meet your goal. 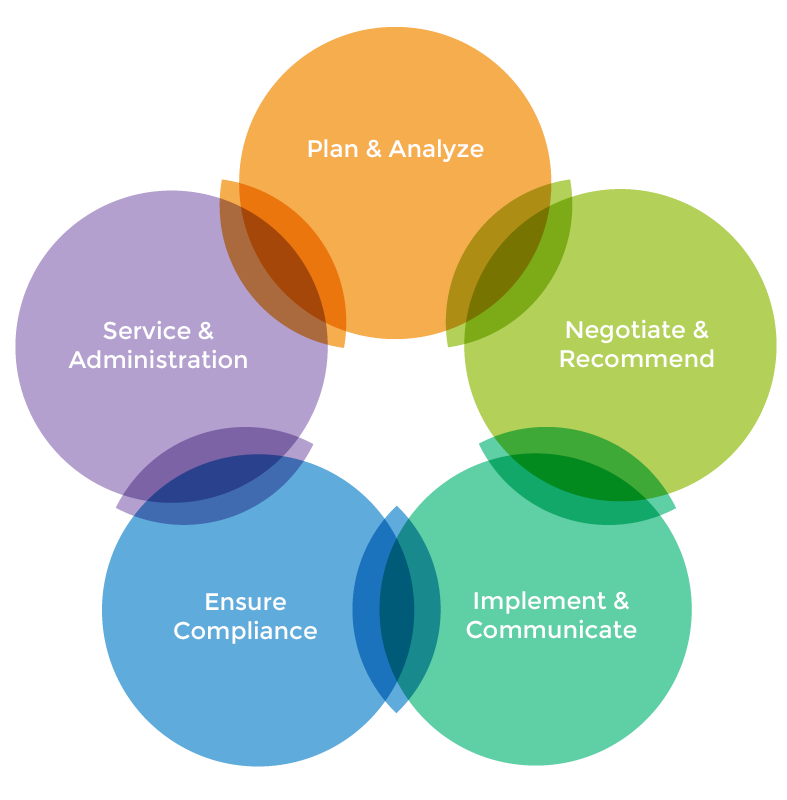 Steps 3-5 are all about implementation, compliance, and the kind of ongoing service that makes us an extension on of your HR department for administrative tasks all year long.